Tectonic Pate » What did the Romans ever do for Mothers’ Day? What did the Romans ever do for Mothers’ Day? This year for Mothers’ Day we decided to avoid the crowded pubs and restaurants all full of feasting families. After all, since I usually cook on Sunday’s anyway, it would be more of a break for me than Tamsin. Instead, I packed a picnic (mistake – the weather wasn’t really up to it) and took Tam and Tabby to Bignor Roman Villa, just outside of Arundel. It’s an extraordinary place, the remains of a giant villa in what’s now the South Downs and – as of this week – a national park. 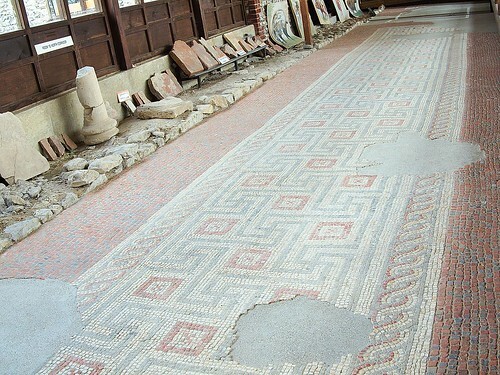 Discovered by farmers in 1811, it has some of the best preserved Roman floor mosaics in the country. 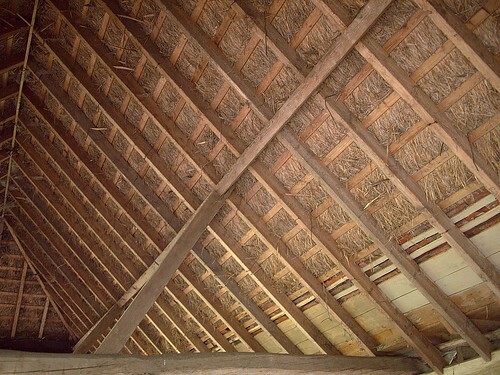 There are several rooms and a bath house fully excavated, and covered some time in the 19th Century with barns which are still standing, and are themselves listed buildings now too. 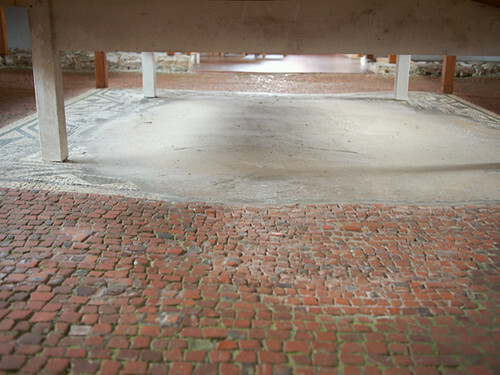 I didn’t get chance to ask how much of the floor is as it was found – it looks like there has been some clumsy repair work done at some stage in its history – for starters many of the holes in to the hypocaust underfloor channelling have simply been concreted in. But it’s nothing like the reconstruction work that is so disappointing at, say, Knossos on Crete. What’s really worth going for, though, is the fact that a lot of the floor that you can actually walk on is at least the original tiling picked up, concreted under and replaced. That’s the small red clay tiles in the photo at the bottom of this post. 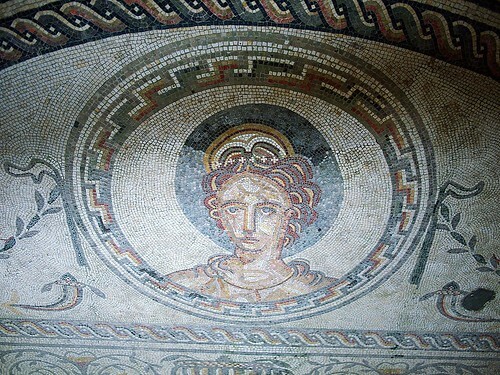 It also has the longest complete single mosaic in Britain running along the remains of the North Corridor. 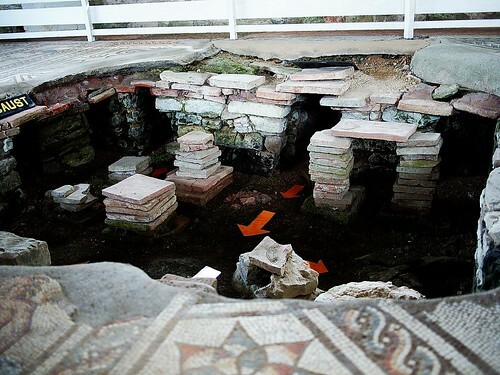 You can get up close to many of the mosaics, and most bizarre of all is the artefacts room, where a large table with a model of what the villa would have looked like is standing on the remains of a rather impressive mosaic. Seems slightly sacrilegious to me, but I’m not an archaeologist, so what do I know? Anyway – if you’re looking to kill a couple of hours in the South Downs, I can recommend Bignor as a way to do it.